Temperature mapping study and Temperature qualification study are carried out generally in the pharmaceutical industry. There are different kinds of medicines and vaccines which need to be stored and transported at certain temperatures. Majority of these medicines and vaccines are under two categories viz. Those to be stored between 2 to 8 Degree Centigrade and those to be stored between 15 to 25°C. It is important for the efficacy of the medicine that the same be stored and transported at the recommended temperature limits as above. If the medicine or vaccine goes above these temperature limits, the medicinal properties will be gradually lost and most importantly the products will not show any indication that it has been compromised. In such case the ultimate distributor and user will be unaware of the efficacy of the medicine. The storage is done in warehouses, cold rooms or refrigerators and transportation is carried out in boxes, vans, reefers and containers. 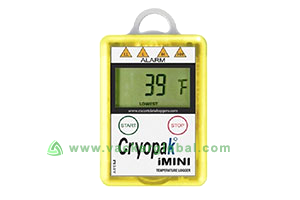 The whole set of study is carried out to analyze the temperature distribution in a warehouse, cold room, refrigerator, van or reefer trucks to find out whether the temperature inside such facility is always maintained between the desired temperature. We carried out the tests for both summer and winter seasons for all the above assets. We offer our services mainly across entire Asian and African region. The countries covered by us in the Asian region are mainly United Arab Emirates, Kingdom of Saudi Arabia, Qatar, Oman, Bahrain, Oman, Iraq, Iran, Lebanon, Jordan, India, Pakistan, Bangladesh, Sri Lanka, Singapore, Hong Kong, Myanmar, Vietnam, Thailand, South Korea, Japan, Mongolia, Malaysia, Indonesia and Philipines. The countries covered by us under African continent are South Africa, Nigeria, Tanzania, Kenya, Ethiopia, Ghana, Rwanda, Uganda, Morocco and Djibouti.We also offer our services in certain European countries through our partners. Please see our complete guidelines on temperature mapping study.